Versatility as a sailor comes with learning & experiencing different boats, not getting stuck in one Class (if one has the chance of course) opens your mind & enriches your sailing skills. Emmanuel Dodé is a good proof on this, always looking to improve in every aspect. 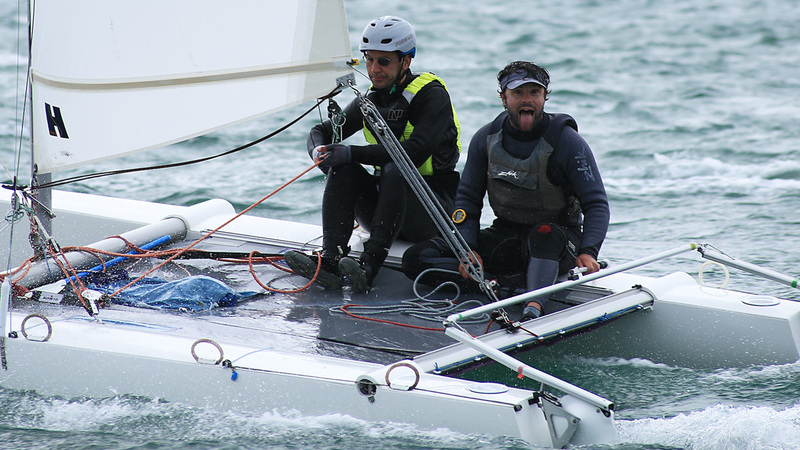 Coming from the Dart 18 to targeting the French A-Cat Nats Title in his first year, this Breton is constantly looking for new challenges and helping others in the process (like sailing&racing with disable people on Cats). After his good performances at past Eurocat in F16 and French A-Cat Nats (being a rookie in the Clas) I asked Emmanuel to tell us a little more on his passion for sailing plus his recent experience & future projects in the A-Class. During my medical studies, I had the pleasure and chance to sail and win 1 European championship (2006), 2 worlds championships (2008 and 2009) and 1 world vice-champion(2010) in Dart 18. After this great experience in Dart 18 I moved forward to discover multihull racing with spinnaker with a Viper in 2011-2012 at the French National School in Quiberon (ENVSN) , with a preliminary test to form mixed team for Rio . 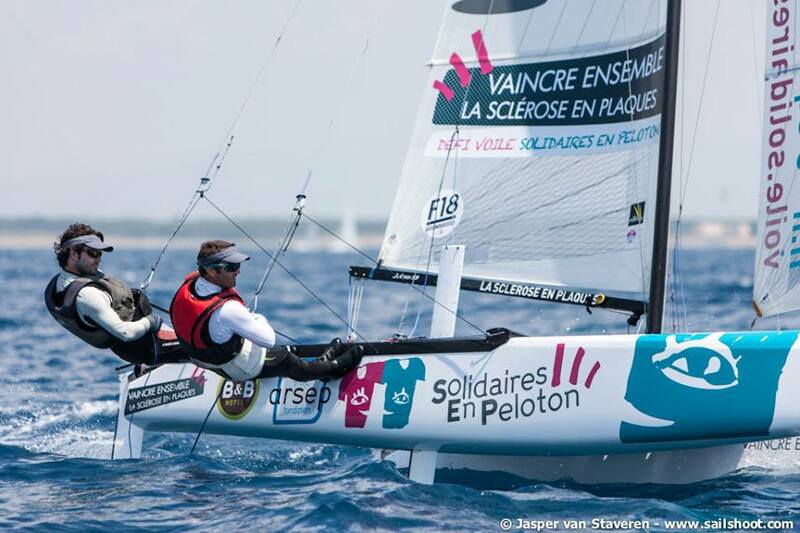 Later a little run in Nacra 17 , for a small period of time but I was the first French sailor to have his own boat not being provided by the Federation. During this period of participating in multihull with spinnaker classes I raced several times but never with the same person due to diverse project problems and the availability of crews. In the end I put my eyes and interest over the A Class because I have a lot of time to sail (I work hard to have time to improve my level in helming cats, which is my main target. 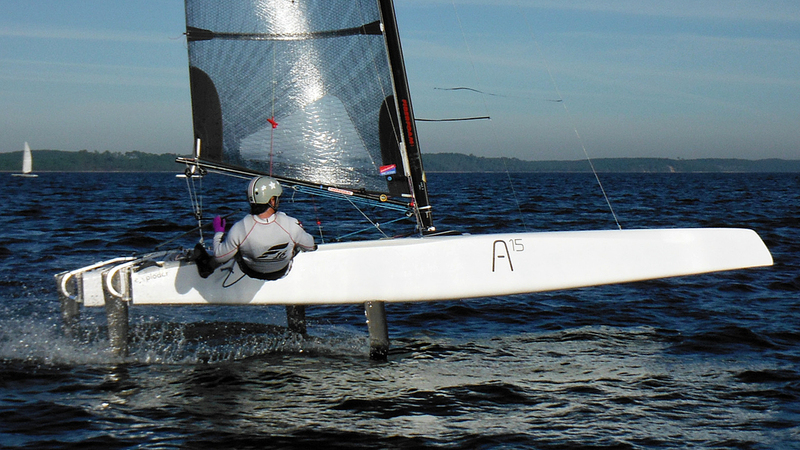 In the A Class I could sail alone at will , every hour on water is useful and rewarding plus the boat is a new challenge for me, more with the new foiling mode. upwind. But with ability to fly downwind the A class become very exciting boat. It's exciting because it needs new skill but also because the level for international competition is very high. Being able to sail with Glenn Ashby is a big challenge and a great honor for me, looking forward for Medemblik in this regard! I 'm an amateur (not a professional sailor) but I work and built my project like a professional in the technical, physical, mental preparation aspects. Pierre Pennec, and Antoine Joubert who help me to improve my level. As you know we had a coaching session with Antoine in Spain in February with others A cat sailors to do a training camp in Murcia. As we searched for some good weather conditions and we know that polish and Spain sailors are usually there, so we took it as a good opportunity to learn a lot. It's a private initiative but I want to develop this because the level of multihull in France is high but not so much in A-Cat, and we have a lot of skills with a lot of very good guys. So if we put with other sailors and gather our energy I think that the level will raise up soon. At the end of the French Championships past weekend we concluded that the controversy of non-flight "vs" Flight (who represent so little numbers of French sailors but with so big bad influence) is over and definitely finished. We want to restart to promote well the A-Cat in France to attract new sailors , organize training camps, and raise the level and skills , aiming to participate well and to promote sailing in the best way we can. With this association and supported by Stéphane Etienne we do the same with the F16. In this Class we had some good results with my crew Nicolas Guillerme in a Bim F16 at the Eurocat, 4th in course racing ces and 3th in the long distance at Carnac. With Nicolas we plan to sail at the F16 Worlds in Belgium this year. In the future I am really happy if I do more time in the F18 with good boat & good preparation, because I like to share with a crew the feeling of speed, and it is a team effort too. Maybe Diam 24 for the Tour de France à la Voile, why not! Focusing on the As now , getting ready for the next worlds in Medemblik in June 28. A Cat is a "showcase" in multihull World nowadays and if I sail well, one day my skills will allow me to follow my route & search for performance, that is what I would like the most what I like the most!!! Along sailing in cool spots !! !